In many areas of the majority world, the church is growing at a tremendous rate. However for believers to grow in their faith, good biblical material is very important but unfortunately there is often a scarcity of Bibles and Christian resources available at affordable prices. Where possible, OPAL seeks to provide helpful literature to support those who have so little. OPAL began in 2004 in the UK with a vision to address some of these great needs and we have since sent materials to over 80 countries on 5 continents. OPAL has been especially proactive in sub-Saharan Africa and in 2005 a subsidiary distribution hub was established in Zambia to facilitate operations. In 2013 an office was opened in the USA followed by a warehouse in 2017 to further expand various aspects of our ministry. In 2014 OPAL acquired TELit a ministry producing attractive and relevant, evangelistic leaflets. OPAL carries a variety of Bibles and books and is particularly burdened to provide resources for missionaries, national workers and local church leaders. We also provide relevant books for Bible schools, libraries, reading rooms, etc. Our Leaders’ Packs, comprising a study Bible and other helpful study aids, are particularly popular. Our stock comes from a variety of sympathetic publishers, distributors and Bible societies free of charge or at greatly reduced prices, enabling resources to be made available at highly subsidised prices. Donations of used Bibles, books and personal libraries are also welcome. Material is carefully selected to reflect a traditional evangelical doctrine. 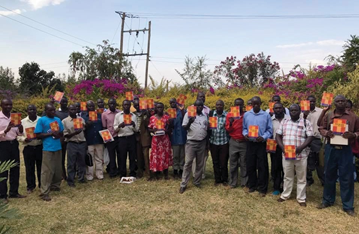 The publication of books, evangelistic literature and local language editions of the Bible for the majority world has become an important part of our ministry and OPAL partners with authors who have relevant messages of God’s truth for these areas. Our key title ‘Knowing and Doing’ by John McQuoid on how to come to faith and how to live the Christian life has now been translated into 40 languages with over half a million in circulation. Our goal is to use the resources God provides us to impact the lives of many in our broken world.